Forgot this one. And I second the Horowitz with Barbirolli and the Moiseiwitsch that Drasko recommended. Just that one, George? 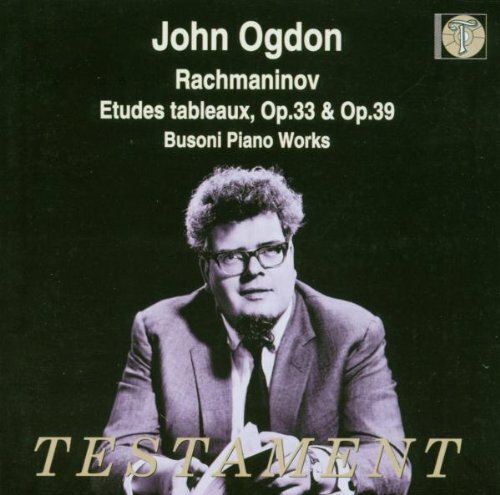 What about your favorite piano concertos with Mikhail Rudy/Jansons? Personally, I would also include Earl Wild/Heifetz (Chandos or Chesky) and Rafael Orozco/De Waart playing the same concertos (Philips). I am trying to narrow things down for Bill and I have already posted a number of suggestions earlier. Sure. If Dietrich Fischer-Dieskau could conduct, why not Jascha? Actually, he meant Horenstein, of course. I'd put that set in there, as well...preferably on Chesky. I have a copy of the Chandos, but I think the Chesky transfers sound better. OTOH, my original Readers Digest box set of LPs (early pressings) still sound stupendous to my ears--and that remains my favorite way of hearing these. I bought the Rudy a few years back when everyone was gushing over it. Sorry. After two run-throughs, it didn't really do much for me; I suppose it's time to revisit. Until I do, I'll stick with Wild and Janis as concerto mainstays in stereo, and supplement with some historical (Kapell, Horowitz, et al) and a few more recent pianists (Richter, others) when I'm in the mood. Note to myself: It's not a good idea to write at two o'clock in the morning! Rudy is the yin to Janis/Wild/Horowitz/Richter's yang. While I enjoy the set and love the sonics, I don't consider it a must-buy. It's been awhile since I have heard the Previn (mostly because I didn't really like it), so all I can say is that I like this one more, though by no means would he be a first pick for a set of the concertos. Rudy/Jansons remain my favorite for a set of these works. They are available at budget price on EMI and Brilliant Classics. "My favorite" can be different from "must-have". Michele Boegner's are my favorite Chopin nocturnes, yet I don't consider them a must-have set; the Rach preludes by Eldar Nebolsin and Steven Osborne are cycles I'd never remove from my collection but they aren't must-haves; even more paradoxically, Mustonen's Sibelius Third Symphony is something I'd call a must-hear-once but not must-have! Additionally, when you have listened to a lot of recordings of the same music (which is the case of George here), I immediately translate "my favorite" as if it had been said "a must-have" which is probably wrong... Anyway, I have and have listened to that set and it's not one of my favorites, just in case. I don't know why you're puzzled. 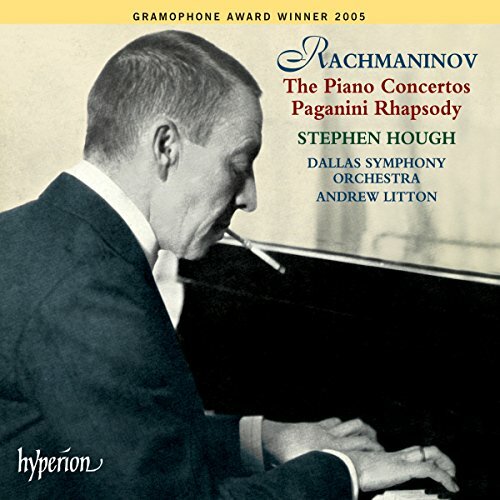 A set of the Rachmaninoff piano concertos is not a must buy, IMO. Especially when my favorite for 1, 2 and 3 are not part of a set. Right, but the your posts quoted by me were not about single concertos, but about complete sets. The first one says Rudin/Jansons is your favorite complete set and the second "suggests" another thing... nothing too much important, anyway. Right, but the your posts quoted by me were not about single concertos, but about complete sets. This thread is about must have recordings. I don't think the Rudy/Jansons set of the complete concertos are a must have. As good as Rudy's set is, I think Janis and Richter (in individual performances) are better. The quote you gave (from another thread) that you thought contradicted this actually doesn't contradict it. The first one says Rudin/Jansons is your favorite complete set and the second "suggests" another thing... nothing too much important, anyway. Rudy/Jansons remains my favorite set. I don't consider it a must have. I have posted my must haves (none of them are concerto sets) in this thread. 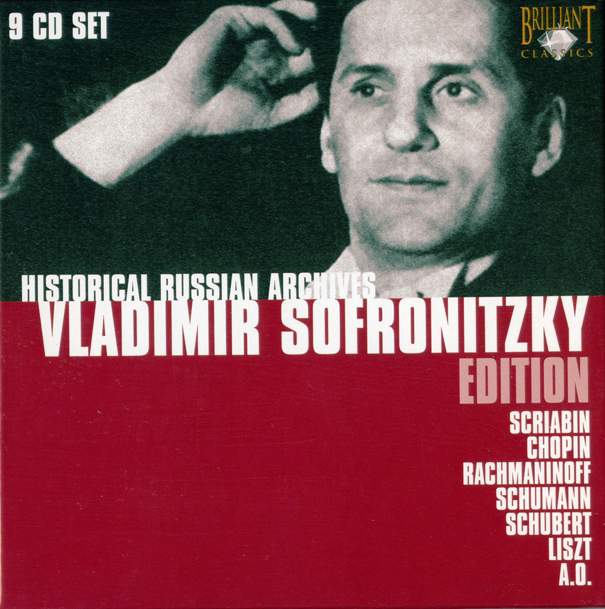 After so many wonderful Rach interpreters I feel I should also mention Sofronitsky. 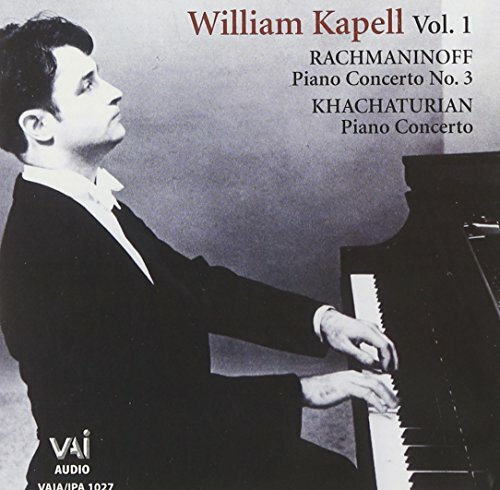 He didn’t record much but for me the Rachmaninov pieces he gave us are beautiful and, as I always expect from this immense artist, deeply expressive. Almost “poetical” for the colors and nuances he brings in every phrase. Currently, the most easily available Sofronitsky-Rachmaninov in CD is probably in the Brillant box and in Vista Vera. But there are other editions with random Rach pieces from Melodiya, Denon, Classound, Arlecchino, Living Stage, etc. Rach Sym 2 Kurt Sanderling on DG (cut version) but passionate interpretation. Also, Earl Wild in PC 2 - wow! For historical, some of you may enjoy this one....giving it a spin as I type. Kapell gets after it, for sure. For those that are interested, this is from 1948....has some quite a few sound issues (scratchy at points), but I am guessing it is the best there is as Ward Martson was at the helm of this VAI release. I very much enjoy this set.